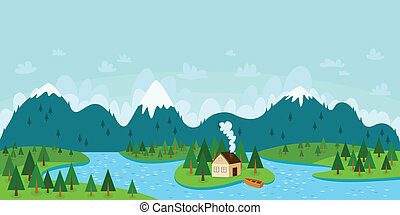 A river, a forest and mountains. 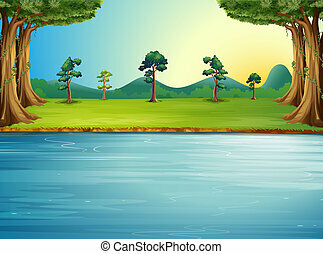 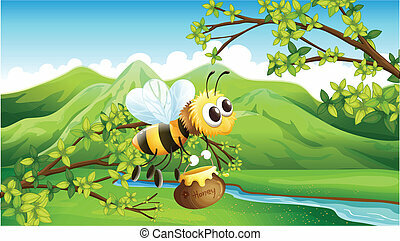 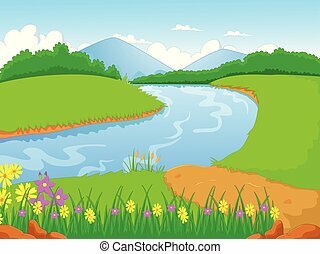 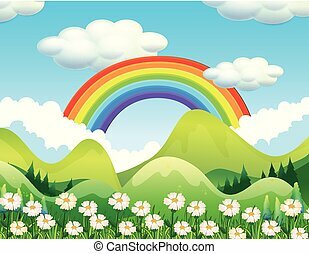 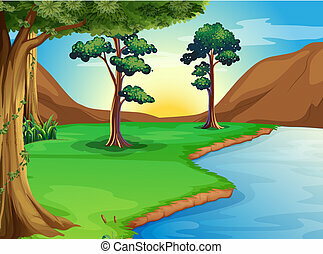 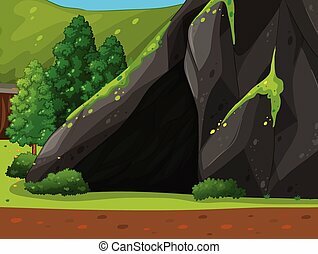 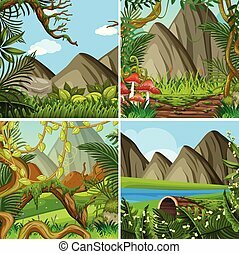 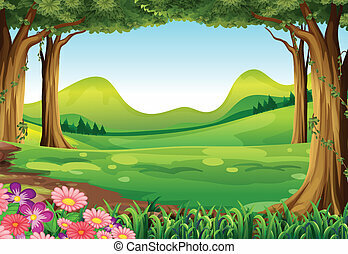 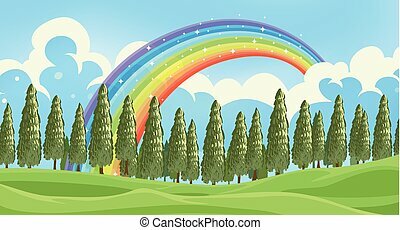 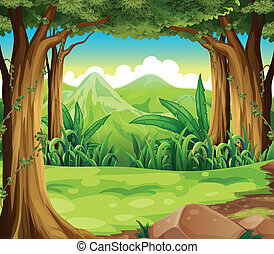 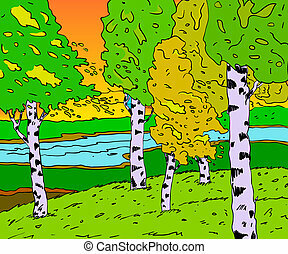 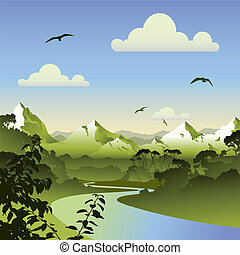 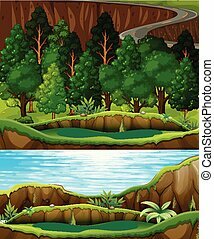 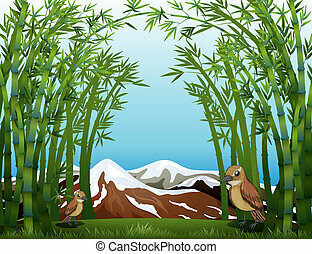 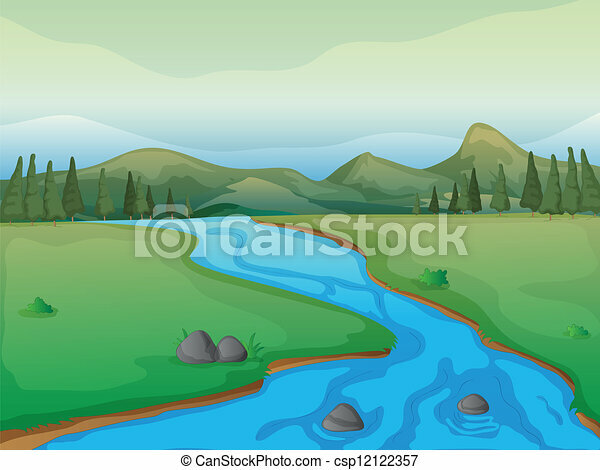 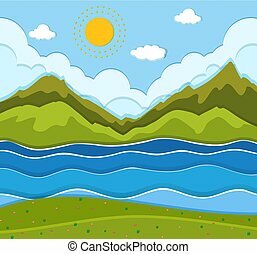 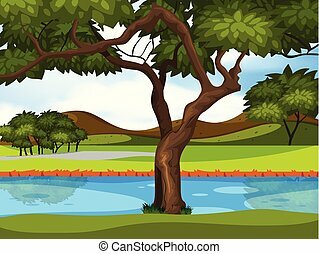 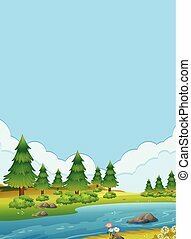 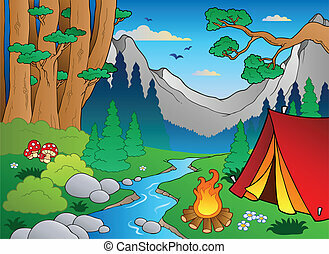 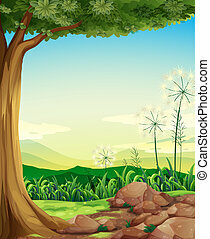 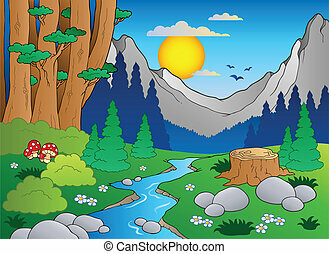 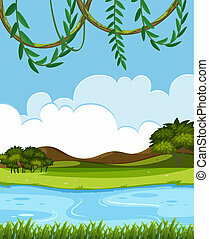 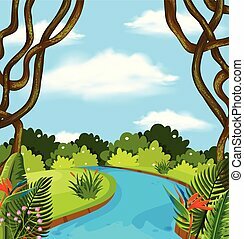 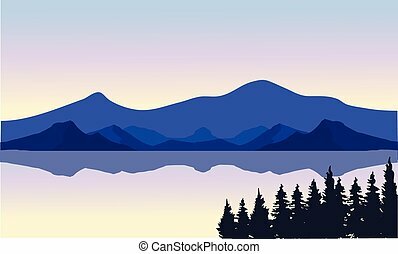 Illustration of a river, a forest and mountains. 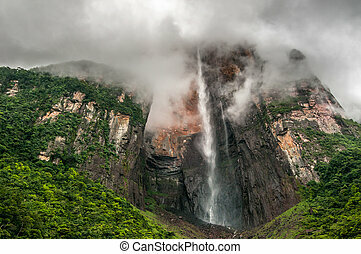 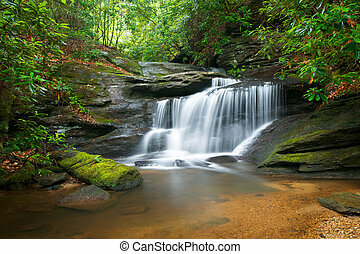 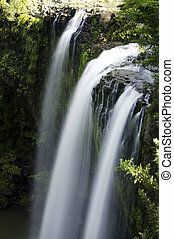 Waterfall with water flowing around.